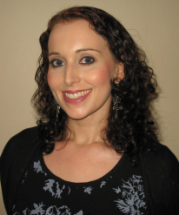 Lila Bruk is a registered dietician and nutritional consultant based in Illovo and Morningside, Johannesburg and has been in private practice since 2006. She graduated from UCT with a Bachelor of Science degree in Microbiology and Biochemistry in 2002, followed by a Bachelor of Science Medical (Honours) degree in Nutrition and Dietetics in 2004 also from UCT. In 2010 she completed a Masters in Nutritional Sciences through the University of Stellenbosch in the fields of body image in pre-adolescent girls, digestive disorders (e.g. IBS), sports nutrition and food allergies. Lila is passionate about promoting health and good nutrition and thus has written in over 250 general and health-related publications such as FairLady, COSMOPOLITAN, Women's Health, Men's Health and Longevity. She also gives regular lectures on nutrition-related topics around the country, and appears regularly on television and radio. Lila is very involved in the corporate wellness space and has participated and organised wellness days, weight loss programmes and lecture series for such companies as EY, British Airways, Alexander Forbes, Hollard, 3M and Sun International. Her main areas of interest include nutritional management of lifestyle diseases (including diabetes, insulin resistance and heart disease), glycaemic index, food allergies, post-operative nutrition, sports nutrition, adolescent body image and digestive and gastrointestinal disorders (e.g. Crohn’s disease, Irritable Bowel Syndrome). Lila is registered with the HPCSA (Health Professionals Council of South Africa) and the Association for Dietetics in South Africa (ADSA). She held the Sponsorship portfolio on the ADSA Executive Committee for the July 2013 to June 2015 term of office. She was also the chairperson for the ADSA Gauteng South branch from July 2009 to June 2013. ​Raylene Peine is a registered dietitian at Lila Bruk & Associates. Raylene completed her BSc. (Dietetics) degree at the University of the Free State, and is registered with the Health Professions Council of South Africa (HPCSA), as well at the Association for Dietetics in South Africa (ADSA). Raylene completed her community service year at Kimberley Hospital in the Northern Cape, and then worked as a senior dietitian at the same hospital for six years. Raylene has a passion for people, and enjoys assisting people in achieving a healthy lifestyle, while living life to the fullest. She has a special interest in therapeutic nutrition, paediatric nutrition, geriatric nutrition, diabetes, breastfeeding and nutrition in pregnancy. In her free time, Raylene, along with a group of pharmacists, have a blog (as well as a Facebook page and Twitter account), called SNAPinfo, which provides nutrition and pharmaceutical information to the public. Raylene enjoys using her love of food to bake and entertain friends and family in her spare time. She also loves to read and can often be found with a cup of tea and a good book.